Just let the rusty part sit in the solution for 30 minutes and the rust will be converted back in to metal. The safest rust remover on the market. 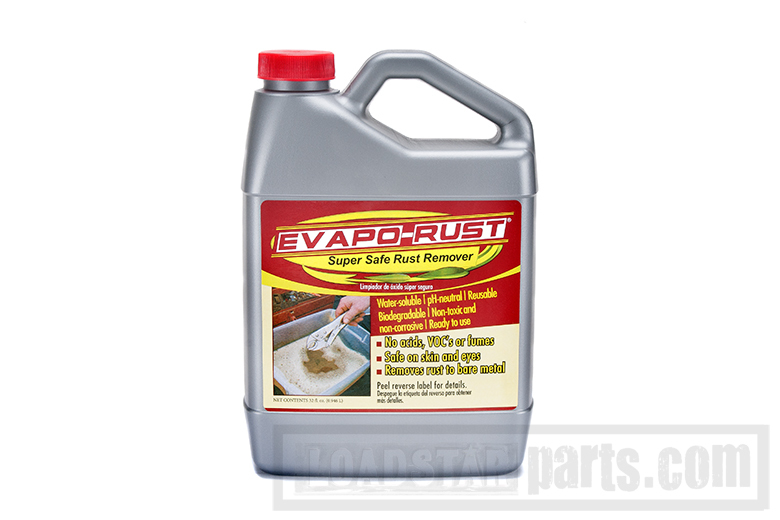 No acids, VOC's or fumes, safe on skin and eyes, removes rust on bare metal. NOT poisonous, water based and non flammable, PH neutral, biodegradable and ready to use. You will love it. MOST EFFECTIVE RUST REMOVER WE HAVE EVER USED.